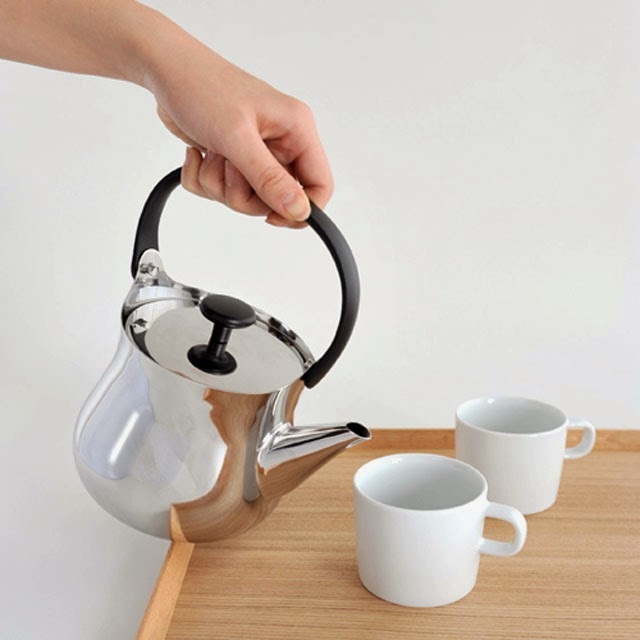 New from Alessi, CHA is a beautiful stainless steel tea kettle by Japanese product designer Naoto Fukasawa. 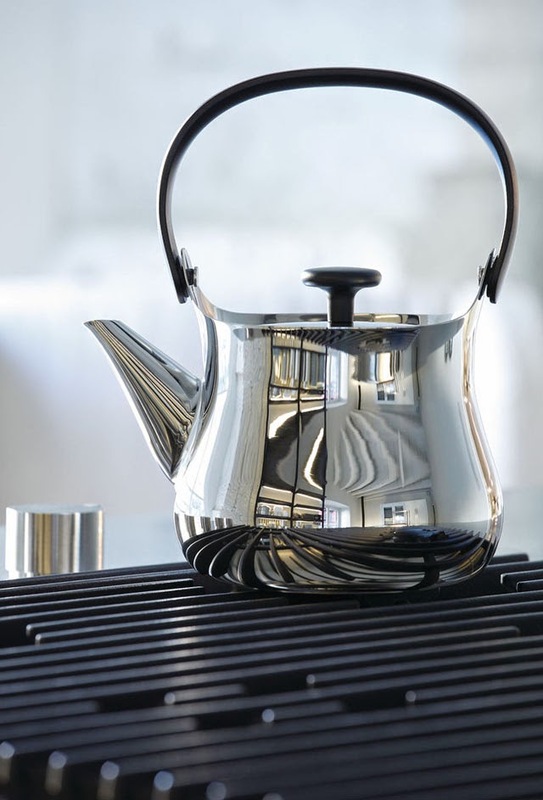 It joins the popular Alessi Kettle line up by Michael Graves with the classic Bird Whistle of which 100,000 pieces were sold since is release in 1985. 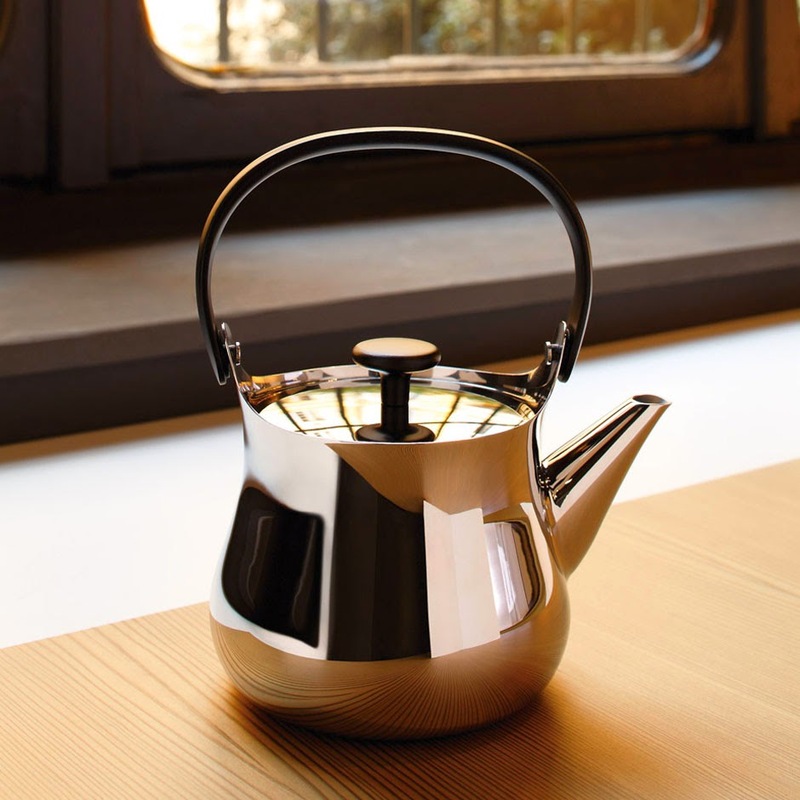 This new Alessi Cha Tea Kettle brings a breath of fresh air to the kitchen accessory landscape with its stylish Japanese design sensibilities, gently curved features and perhaps even more importantly: a welcome functionality that is of all times. 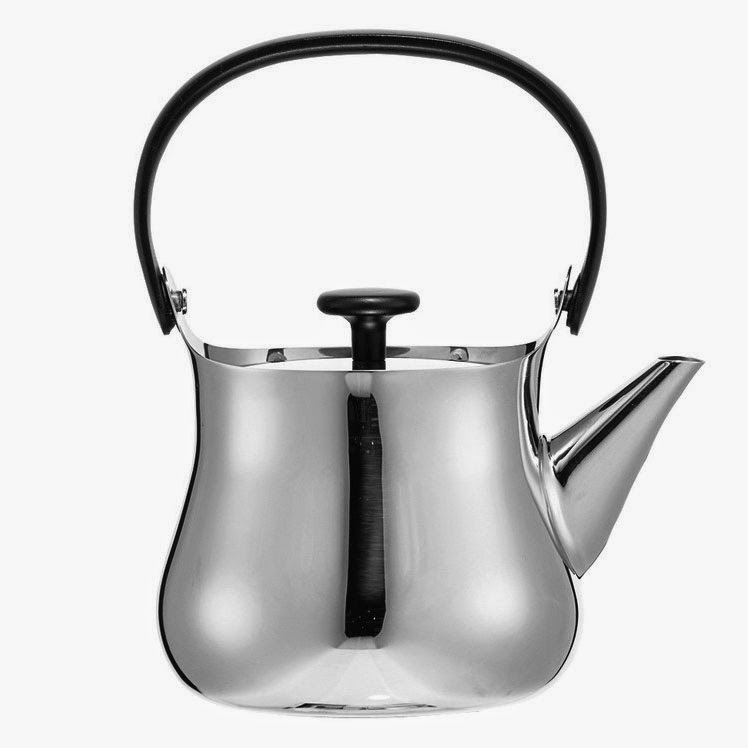 Cha will have a list price of $200.00 and available from NOVA68.com (official Alessi Shop) with Free Shipping. 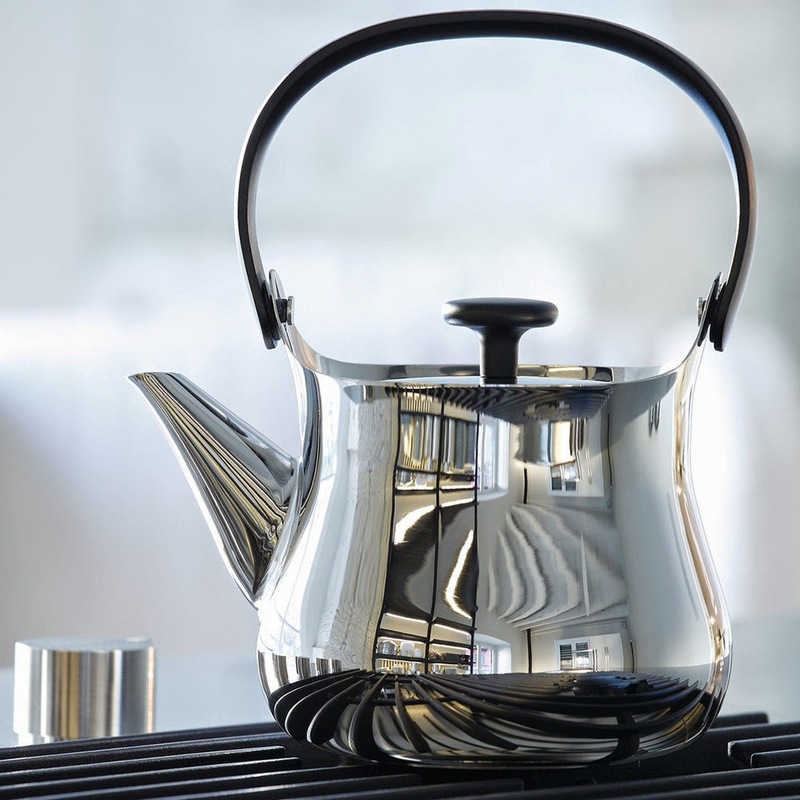 (For those wishing to splurge; check out the exuberant Frank Gehry architect designed "Pito Kettle". This will be a popular holiday stocking stuffer as well, after all, brewing a cup of tea is a tradition that brings the family together.